Vegeta could really use a few lessons in anger management. It’s completely alright to be frustrated when your scouter reports that your enemy has a power level of over 9000. It is NOT alright to smash your scouter because you don’t like the number it tells you. Next time, count to ten, or maybe just calmly recite the phrase “serenity now”. Well, the good news is that you don’t have the same kind of anger problems as Vegeta, so you can wear these Dragon Ball Z Vegeta Shades and you probably won’t have to worry about crushing them with your fist while in a fit of rage. 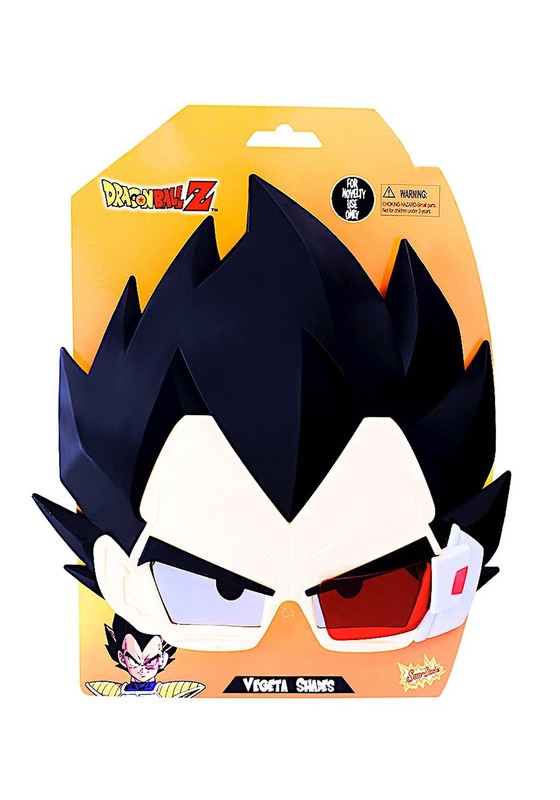 The glasses are molded to look like Vegeta’s face from the Frieza Saga and it even has a red scouter lens over one eye. Unfortunately, it won’t tell you the power levels of any of your enemies, but that’s just a safety measure to make sure you don’t become an internet meme after a single bad scouter reading.